If you watched this year's Bake Off, you will know all about illusion cakes. But have you ever seen illusion chocolate? I hadn't either until this year. 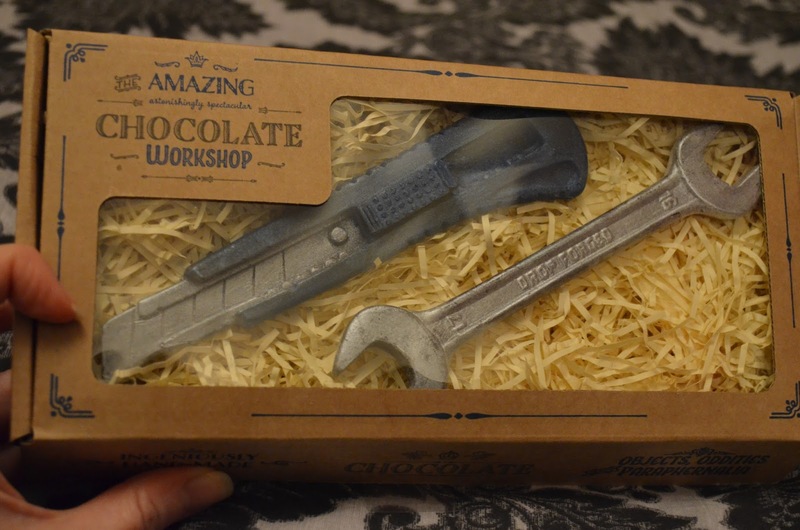 It was at King's Cross station that I first saw The Amazing Chocolate Workshop - a company specialising in made-you-look marvelous chocolate creations. From tools and household items to flowers and makeup, no stone goes unturned. I remember being in awe that the things in front of me were chocolate. Whilst they looked incredible, there's always that thought in the back of your mind. Will the chocolate taste as good as it looks? And how long does it keep for? And the answer to this... 6 months. So a pretty long time. I tried some samples and oh my. I can imagine it being incredibly hard eating such beautiful creations. But trust me, as soon as you bite into that chocolate... zero regrets. They also had a cute pasta wheel / cutter, but it would have taken me over budget. Or I may have had to sacrifice some pasta. 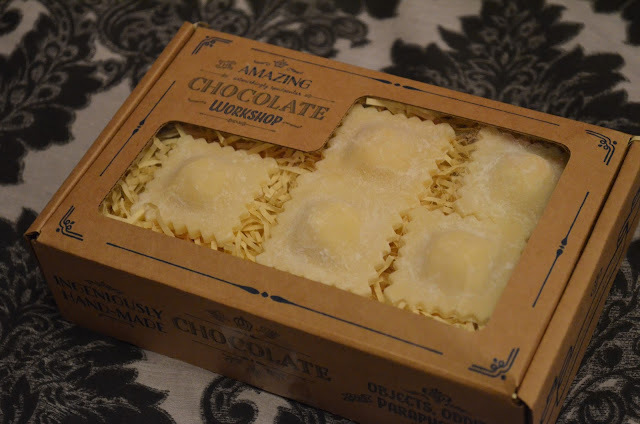 And I actually like the amount of pasta here - it makes for a nicely packaged gift box. 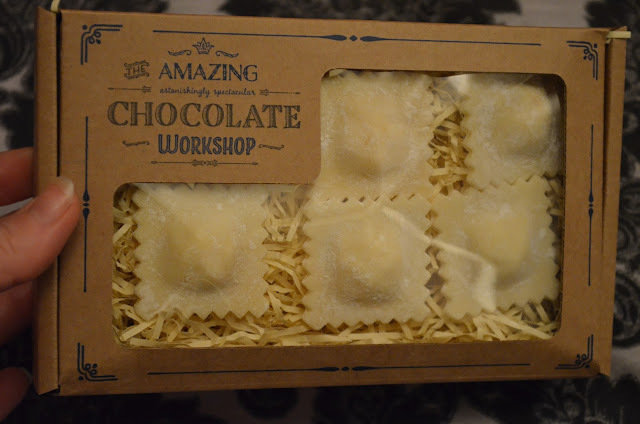 I had some spare dollar left over from my sister's Christmas present and seeing as she loves pasta, I thought these would be perfect for her! 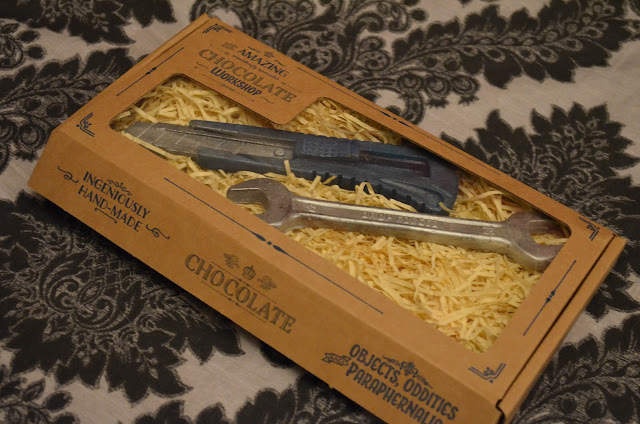 I picked these up for my father-in-law who loves chocolate. How incredible is the detailing on the Stanley knife??! 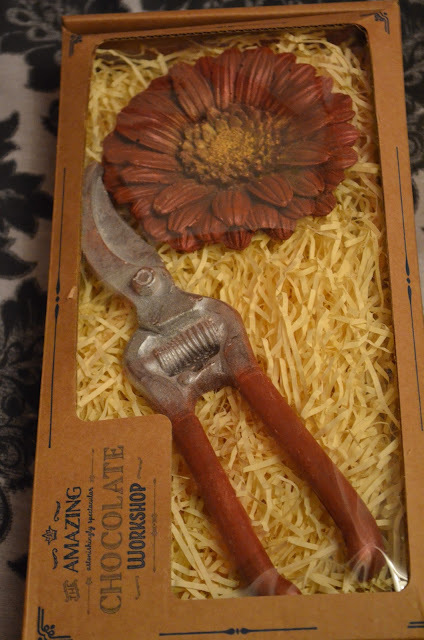 I picked up a couple of boxes of these for my Mum's side of the family as they love gardening. 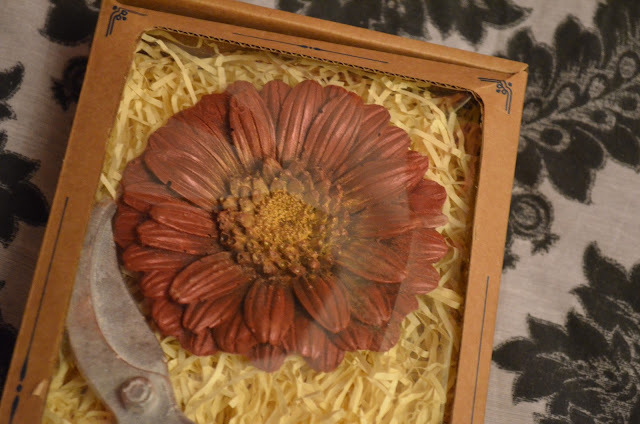 A shortage in flowers (one of their more popular items!) meant I grabbed the last two that day. 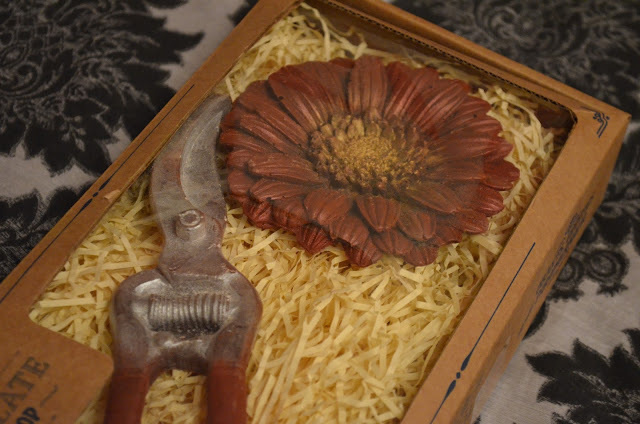 I was after a few of the smaller flowers rather than these big 'uns... but I actually think the larger design fills the box quite nicely, so it worked out well. 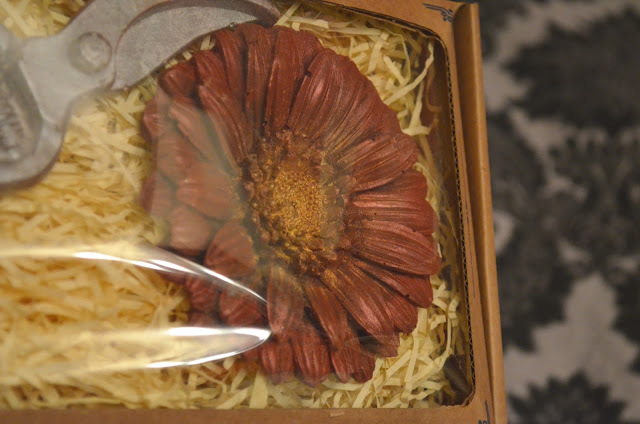 The cellophane makes it difficult to photograph how extraordinary the detailing on these are (those flower petals though) but on the plus side, they are beautifully packaged and should keep well. The Amazing Chocolate Workshop have been making the rounds for the last few weeks across most London mainline stations. The best way to track them down is via their Twitter account (I Tweeted them this week and they got back to me fairly quickly). They should be in town a few more days, but alternatively they also take orders online. A great idea for a last minute gift. Tasty as, sure to raise a smile, and who doesn't like chocolate??! This is not a sponsored post, I wrote this of my own accord and wanted to share what I think is an incredible product line!